In our outfit not only to take care of the chosen clothes, but also the accessories that accompany the clothes. Of these, the shoes are a cornerstone to succeed in our look. In a thousand ways and styles, you must move that stick in your suitcase for this holiday. You are warned! They are, par excellence, the shoe itself each summer. Esparto, cork, patent … closed, slipper, tied to the ankle … so many ways that we decide only for a cost. 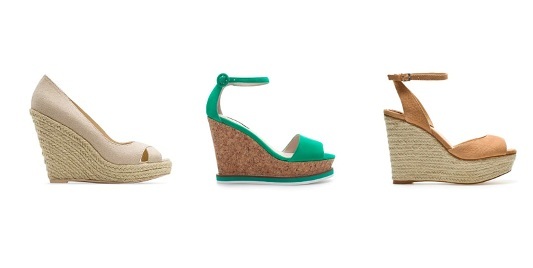 Wedges shoes become more comfortable to hold all day without sacrificing heel. Juveniles and flirty, this shoe is so versatile that you can combine for day to night. Do not give to it and bet this year by the most vivid and vibrant colors. If you love featuring pedicures, thong sandals become your ally footwear. With almost all of the foot exposed, are characterized by attaching a wrist tied to ankle with a long strip that spans your entire foot passing between fingers. They are perfect to show a comfortable look and summery thanks to the absence of heel. 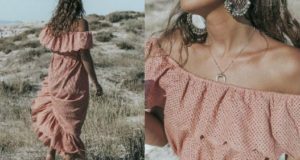 Ideal with mini-dresses and shorts for a casual and relaxed style. Also known as gladiator sandals, this shoe the rage again another season. Flat and entangled with many strips around your foot, this summer will lead in metallic colors and even with studs and buckles. Who will resist? For those days when the sun goes down, nothing more comfortable than go for a classic flat shoe and closed with bracelet tied around the ankle. Ideal to wear with skirts, dresses or shorts, the key is to teach and boast a very lady style. 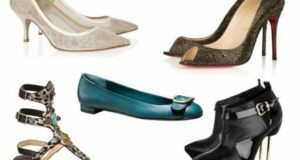 Add heel and turn them into a mythical mary jane shoes. All the romance and the sweetness of the footwear more feminine. The elegant and select touch will put this summer raising us to a dizzying high-heeled sandals. With or without platform, but always tied to the ankle, this season worn with a broad horizontal strip through all the fingers. Are you going to be without them? The classic peep toe shoe is reinvented this season to become the star of the evening footwear. Undercut is carried with the back of our bare feet, to save the annoying chafing caused by heat. 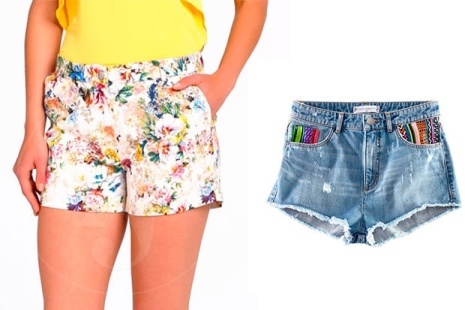 Choose them in bright and bold shades to add a touch of color to our outfit and to focus the eyes of our look. Previous: Rain prints: The prints of the summer!